Amazon’s new Kindle Fire tablet isn’t a threat to the iPad. It’s a benefactor. That’s the new theory being put forth by J.P. Morgan analyst Mark Moskowitz, who believes the Fire will end up being a catalyst for additional iPad sales. 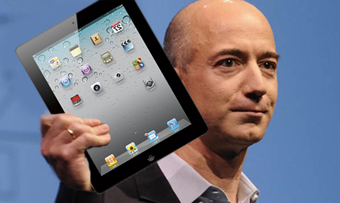 Moskowitz met recently with Apple CEO Tim Cook and CFO Peter Oppenheimer, and came away with the impression that Apple isn’t much bothered by Amazon’s new lower-priced entrant in the tablet market. In other words, the Fire may well expand the iPad’s addressable market by drawing more price-conscious customers into it — customers who might someday upgrade to the more capable and versatile iPad.